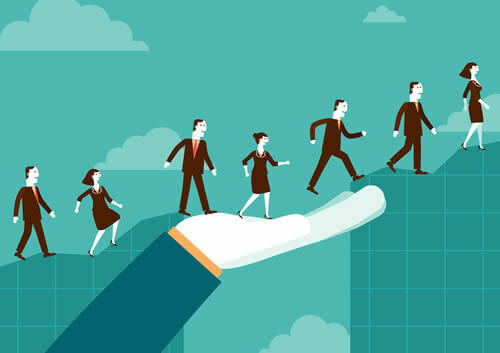 Organisations that develop high standards of leadership achieve success in areas such as creativity, productivity, performance, financial management, social responsibility and environmental sustainability leading to increased customer retention, revenue growth and substantial cost savings. Our programmes aim to provide leaders with the skills and competencies with which to better respond to the shifting sands that beset the corporate world and the public sector today. Traditional authoritarian leadership is mostly obsolete – new skills are essential to catalyse results in an ever-changing business environment. Vision, authentic corporate and personal values, agility and the ability to provide meaning and purpose are core requirements for today’s leaders, as are emotional intelligence and the capacity to support and motivate others. Above all, 21st-century leaders must lead by example. Developing and embedding new behaviours takes time. This demands a whole-hearted commitment to personal excellence through ongoing personal development. We work in partnership with organisations to achieve their leadership objectives are achieved and embed self-sustaining change. This may involve the development of bespoke leadership objectives, or selection of appropriate leadership models to match performance drivers and organisational need. Psychological assessments may be used to identify personal and corporate needs and in some cases may be useful in tracking progress towards objectives. In addition, we use non-prescriptive methods to enable each participant to discover and develop their own unique leadership capabilities and empower peak performance potential in others in alignment with the corporate imperative. Assessment, planning and intervention may be delivered in face to face workshops, e-tools and one to one interviews and coaching depending on organisational need. Gain more influence, impact and income. Our Women in Leadership coaching programmes dramatically impact the self-esteem, confidence, leadership capability, life-fulfilment and income of women across the globe. Our coaches help women get to the top. Whilst everyone is an individual, there are a number of elements which potentially hold women back from realising their potential. These are often deep seated (elements) stemming from early life experience and conditioning which need to be managed before behaviour can change. Our experienced coaches provide a safe environment to explore and overcome these invisible constraints. We assist women leaders, emerging leaders and executives from all cultural backgrounds in creating profound, long-lasting impact in their careers, organisations and personal lives. As a woman, it is often not enough to be qualified and deliver. You may also need to ask for what you want, stand your ground and compete with your peers. Learn the keys to success in your workplace as you take your life and your career to the next level. Grow your leadership courage to succeed on your terms.